Are you using a large Facebook groups list to help grow your blog or online business? If not, you may want to consider it. Using an effective Facebook groups list can help explode your blog or business’s growth in several ways. Not only do Facebook groups provide a community of like-minded individuals that you can learn from (“been there, done that” type of thing), but you also gain instant access to an established support network. Better yet, say hello to thousands of fellow small business owners who are also on the lookout for potential collaboration opportunities. Mastering content marketing, and so much more! Now, if you don’t have a large Facebook groups list yet, don’t fret, you can steal my list of some of the most popular Facebook groups around (all linked below). It’s not a comprehensive Facebook groups directory (no such thing exists) but they’re all super active, and there’s no limit to what you can achieve. Note: Each group will have it’s own set of rules, and often, certain instructions on how to join. Please pay close attention and respect the existing rules of each group. No one appreciates someone purely interested in self-promotion or link dropping. Be courteous to already existing conversations and do your best to provide value to a group before promoting your blog or business. If you’re looking to connect with other small business owners or bloggers, this is the group for you. At Blog Society, you’ll find advice on affiliate marketing, blogging, and creative biz. It’s a great place to grow in your knowledge of blogging/business and perhaps even find collaboration opportunities among the other members. One of the more popular Facebook groups around, with 12,000+ members strong, Tabitha Philen’s Facebook group is the perfect place for bloggers and social media entrepreneurs to educate and encourage one another. The Inspired Bloggers Network is an extremely active group with new threads posted daily, so if you’re looking to learn from one of the best, this is a great place to start. The Rising Tide Society, founded by Natalie Franke of San Francisco, USA, is a gold mine for entrepreneurs. This group takes pride in educating and empowering its members in the name of community over competition. Interestingly, they have established, regular meetups in over 400 cities worldwide, so if you’re looking to network with other influencers in person, this is a great place to get started. If you enjoy participating in conversations, building meaningful relationships, receiving support and advice, and having fun while learning how to rock your blog or business, Rock Your Blog & Biz is perfect for you. Hosted by Kirsten Rosetti, you can join thousands of bloggers and small business owners all with one collective goal in mind: use social media to effectively promote one another’s content. If you’re looking to up your content marketing game, this is the place to be. At Online Business Mastermind, Lewis Howes encourages you to ask the tough questions so that you can receive actionable steps in response (to help you achieve your answer). From growing your email list to having a successful product launch, join 15,000 other business owners and get help with it all. Manda created Bloggers That Profit to be a community of like-minded bloggers, teaching each other the best techniques to make their blogs successful and profitable. It’s a great place to ask questions, meet blogger friends, and learn a lot about successful blogging. If you have a specific niche for your blog and want the best advice on how to market for your niche blog and make the most money from it, this group is what you need. With a high activity level and 7,000+ members, you’ll find the community and advice you are looking for within this group. In Blogging 101 is an essential for any good Facebook groups list. You’ll find useful advice for your blog such as how to grow your traffic and how to generate income. This is an incredibly active group so you’ll be sure to learn a lot from the members in no time, as well as have a great platform to share your questions and insight as well. BTOP’s Ultimate Blogging Group is a fantastic group if you’re serious about growing your blog, increasing your traffic, and making money (did you really think we wouldn’t include our own amazing group?). The BTOP Ultimate Blogging Group is super active, so you’ll never feel like you’re missing out on learning valuable advice and tips when it comes to blogging. As a member of The Smart Passive Income Community, you can discuss online business, blogging, podcasting, and other online business interests with the other members of the group. This group is highly active and has 35,600+ members, so you’ll have plenty of “teachers” to learn from. It doesn’t matter what point you are at in your blogging or biz journey, Carly’s goal is to help you succeed! If you’re interested in weekly Q+A threads and bi-weekly Facebook live videos on everything blogging, this is a group you’ll find incredibly useful. If daily threads to promote growth, monthly challenges with guides to help with blog growth, and opportunities to join giveaways and gain exposure sound like something you’d be interested in, then Blog Passion Project is the one for you. Blog Passion Project is still relatively small (under 1,000 members) which is super helpful in creating a tight knit community among other bloggers in the group. Work With Class is all about its members contributing opinions and ideas about online business and blogging. If you want to find helpful resources, share your struggles to people who have “been there, done that,” and encourage, celebrate, and collaborate with others, Work With Class is the perfect match for you. Have a business and desire to take it to the next level? Entrepreneur Hustle is created by Danny Viega, whose goal is to help others learn how to grow their business to 6 and 7 figures. With 46,941 members and 423 new posts just today, this may not be a “tight knit community” but you surely will learn a thing or two in no time. So you heard that Facebook ads are a good option to grow and scale your business. But the truth is some business models are a better fit for Facebook ads than others. With that out of the way, if your business is a good fit, then I would totally recommend joining Facebook Ad Hacks. I actually went back and edited this Facebook groups list just so I could include this group. 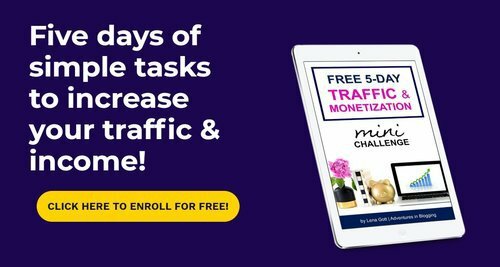 If you want to use Facebook ads to heighten brand awareness, drive traffic, or even find new clients, this is the most value-oriented group I’ve come across. Cat Howell is always bringing you the latest on Facebook ads. In her weekly Facebook Live updates, she discusses ad platform changes and best-practice tips, helping you target more customers and increase your sales. One of the highest members groups around, there’s 62,000 other advanced Facebook advertisers always present to bounce ideas back and forth off of. From things like ad budget and targeting, to landing page optimization and conversion deficiencies, they cover that, the Facebook Pixel, and more. If you’re in a love/hate relationship with Facebook ads, this is the place to be. If you’re in the business, blogging, or finance niche, the above list is likely right up your alley. But if you’re a food photographer or perhaps a parenting-advice blogger, finding a solid list of places to network can be a little bit harder. As such, we’ve put together a large list of an additional 47 open Facebook groups you can join. We’re not in them all, but sometimes knowing how to find Facebook groups to join is half the battle. Click the image below to get the niche-specific Facebook groups list delivered straight to your inbox. Meredith is the founder of Write Your Story: a blog focused on her passion of living a healthy and budget friendly lifestyle. When she's not blogging, you can find her teaching, whipping up a new recipe in the kitchen, or exploring the great outdoors with her husband. Thank you for this great list of FB groups. I never really had time to dedicate to Facebook, since I was focused on other social media platforms, but I’m sure that connecting with other bloggers will help me grow my website and my personal brand. Great collection of Facebook groups. They will definitely increase the traffic to your blog. I am already in in couple of them and a few others I did not know about. Thanks again. Thanks Meredith for taking your time to compile this list! Hopefully, my business will explode as you mentioned in the title. Keep up the good work!